Bald Mountain Press has organically improved web site search engine rankings and driven quality traffic to small business web sites using white hat search engine optimization and strategic internet marketing since 1996. Good, fast, cheap: pick two. We specialize in helping very small businesses market their web sites, through higher search engine rankings that are achieved by increasing the amount of content in your site and the number of authoritative links to your site. The best way to entice people to link to your site is to create fresh content on a regular basis that is informative and entertaining. Through blogging, social networking, social bookmarking, and traditional web content, your site can quickly become your most important and cost effective marketing tool. Bald Mt. Press Internet Marketing and SEO for higher search engine rankings. Free Desktop Wallpaper The Supak.com home page is The Top of our web properties, the place to start if you want to see All of what we’re about. Bald Mt. Press Brown Book Listing Bald Mt. Press’s Brownbook listing. Get one yourself! Drug Abuse Intervention Addiction Treatment Education Videos Reelizations Media provides video resources for drug abuse intervention and addiction treatment and education. Kauai Hawaii Beach Accommodations House Rental This beautiful beach house on Kauai’s north shore was once the home of an Academy Award winning art director, who’s art hangs on the walls of this vacation rental on one of Hawaii’s best beaches. Los Angeles caterers This southern California catering company can do it all, from a dozen cupcakes to a full-service wedding reception! 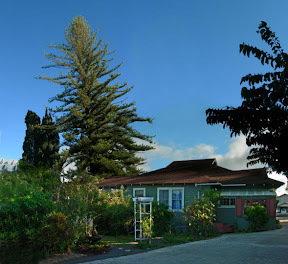 Maui Hawaii Bed and Breakfast Cherie converted this historic farm house in upcountry Maui into a world famous bed and breakfast in the Hawaii Rodeo town of Makawao. Maui weddings in Hawaii Get Mauied! Maui Hawaii weddings packages are surprisingly affordable at Paradise Maui! Addiction Treatment Central Where addiction treatment professionals share thoughts, frustrations, challenges and strategies relevant to treating addictions. Destination Hawaii Maui Weddings Blog Celebrate your special day at one of the world’s finest tropical resorts at its very best. Maui Weddings on a scenic crescent sand beach, create perfect moments for your Dream Hawaii Wedding in paradise. Hookipa Aikane – Maui Hawaii Blog H’ookipa Aikane (home sharing friend): Long time Hawaii resident Cherie Attix talks story from her upcountry Maui historic Hawaiian bed and breakfast, the Hale Hookipa Inn. Los Angeles Catering blog Los Angeles catering company Culinary Delight Catering blogs with catering news, information, testimonials, pictures, and opinion on the food service and craft services business in southern California. Organic Kona Coffee Farming in Hawaii Organically growing gourmet coffee beans on a sustainable farm south of Kona, Hawaii. 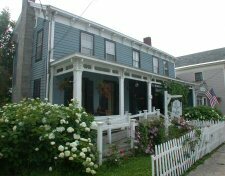 The Rose and Kettle Cooperstown Restaurant Blog Upstate New York Dining at its finest! Near Cooperstown and the Glimmerglass Opera, the Rose and Kettle provides local food from local farms in the central Leather stocking region of upstate New York. Who wrote the Bible? Maybe Satan wrote the Bible.